Antique sewing machine - Journaux - Leblond. 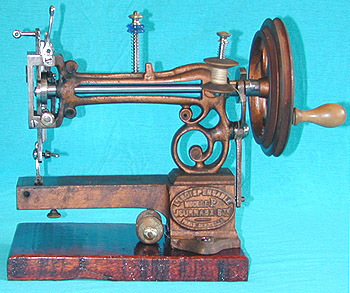 Manufactured by Journaux-Leblond, this delightful miniature free-arm machine was produced in France during the 1860s. This example is known as the "Model P" and is inscribed - "L'Indispensable".